In 2018 I launched Our Wāhine, an illustrated history of New Zealand’s extraordinary women. I started working on the idea for this project in early 2017 after living in the USA for a bit. Over there I found several amazing illustrated books on women throughout history and thought New Zealand was really lacking in this area. 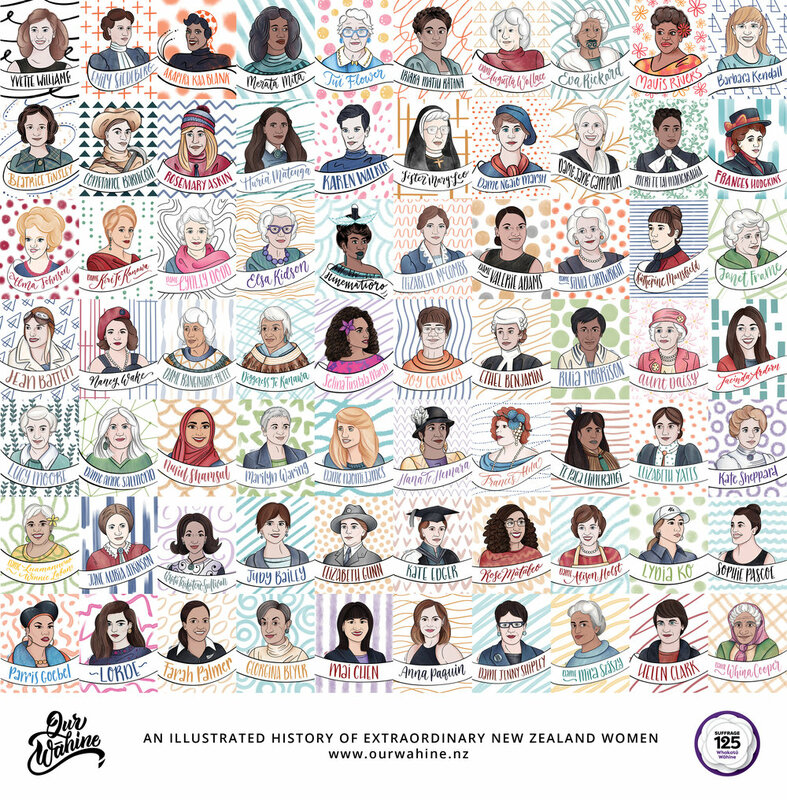 I decided to start illustrating extraordinary New Zealand women to coincide with and celebrate the Suffrage 125 anniversary in New Zealand. The text was being researched and written by my mother Karen Brook. This passion project was done after hours with no funding and aimed to create a visually exciting and accessible overview of the role of New Zealand women throughout history. This project has shown us there are so many New Zealand women role models but their stories have often been hidden in the history books or, at times, forgotten. Selecting a few women from a list of from hundreds of inspiring women in New Zealand's history was been a hard task. We wanted to do 125 women, but the project got a bit too big for us to continue as a side project so we wrapped it up at 70. Several people have asked if this project will be turned into a book - we would love this - but at this stage there are no current plans. We did create a poster of the 70 women, our original print run sold out so fast but we are looking at doing another print run in the future.